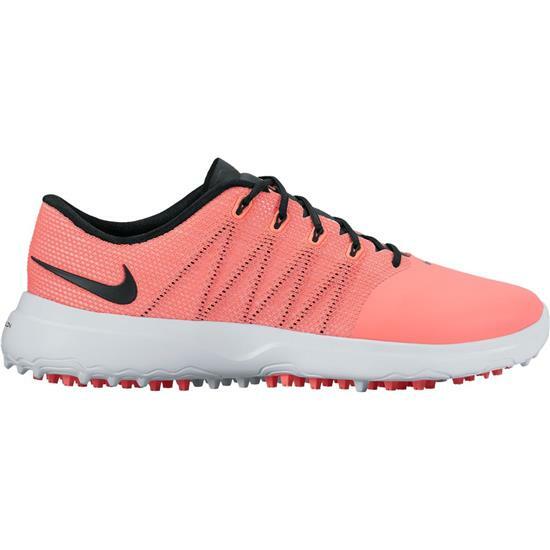 Receive extreme support and massive cushioning on the course from Nike’s Lunar Empress 2 Golf Shoes for Women. These golf shoes are not only fashionable, but they’re packed with Lunarlon cushioning, Flywire technology, and are waterproof. You are about to post a review for Nike Lunar Empress 2 Golf Shoes for Women based on your knowledge of its playability. This review will show up under all variations of Nike Lunar Empress 2 Golf Shoes for Women, including new, personalized, and custom logo.